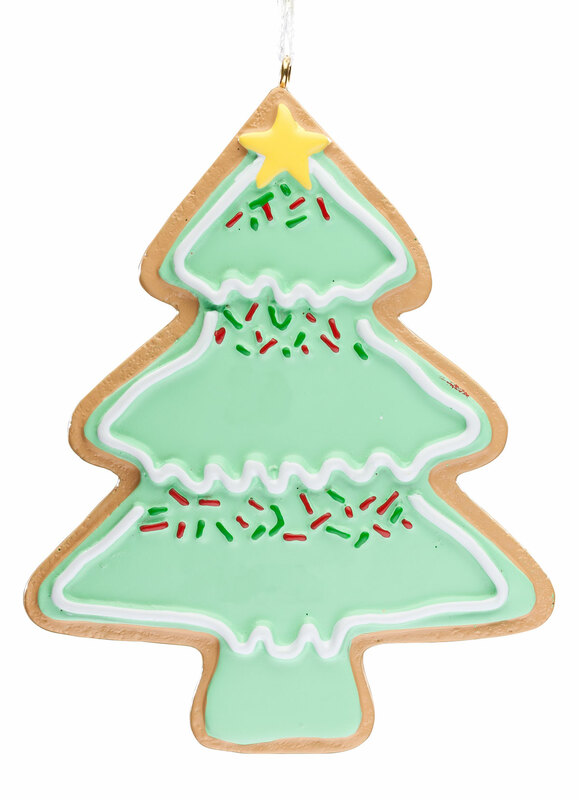 Beautiful touch on your tree. Personalized ornament for my husband and myself. I love this little ornament. My husband and I have our name's on it. It's the first thing I hang up at Christmas time. It just makes me smile looking at it. The picture dosen't do it justice. It's such a nice quality. I hang it in a little wreath on the wall. Always get complements on how cute it is. I thought they were cute! First Christmas living together. Cute snowmen, guessing she'll love it. 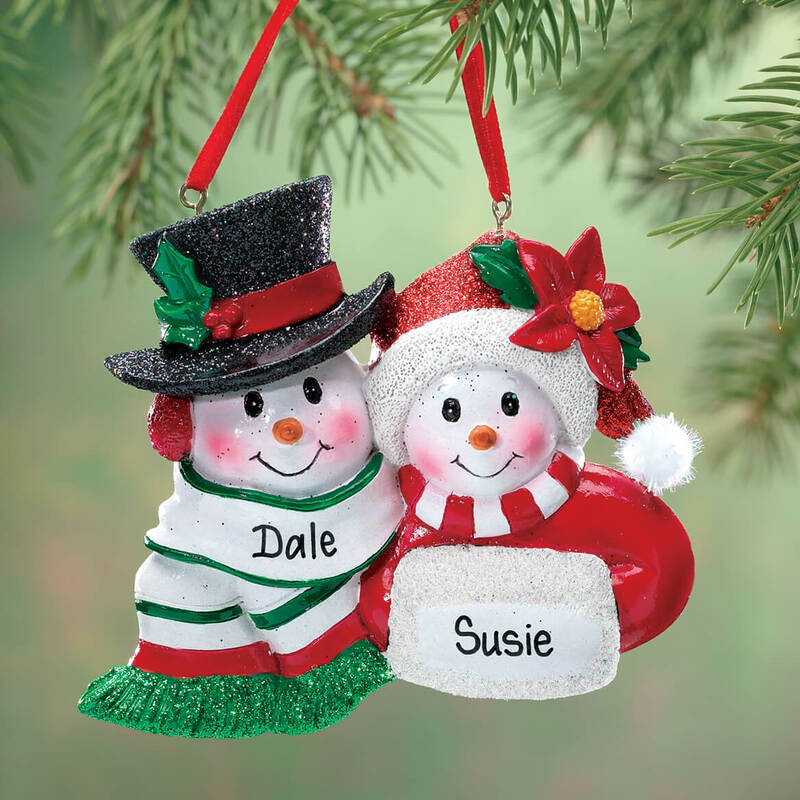 Love snowmen and wanted a couples ornament. Always bright and wonderful quality. 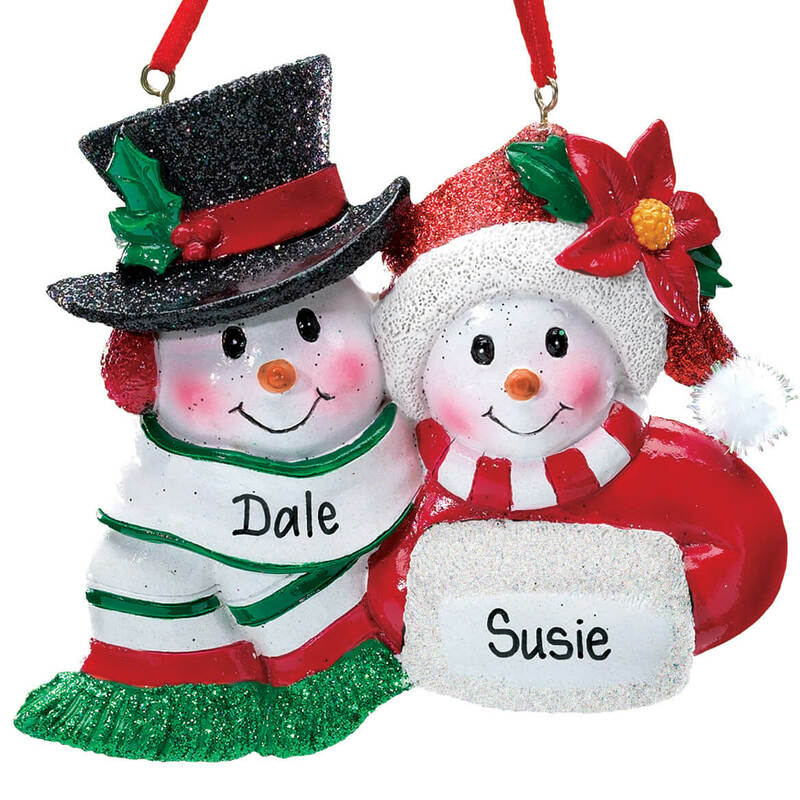 I decided to get this snowman couple for my niece an her husband for Christmas to hang on their tree. Made me smile and I think my friends will like it a lot. I love snowmans and this will be ideal for our tree with me and my boyfriend. I wish for you to have a very special Merry Christmas and a Happy 2017 New Year. I love both of your friendship very much and you are my best friends and Congratulations on your new addition Anto Lucich to your family . This is such a sweet couple! It is a cute ornament. Quick & easy for an unmarried couple. Ornament for on my tree. 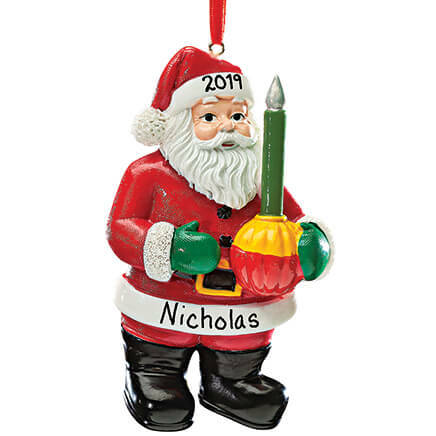 I wanted an ornament with our names on it. Very cute for a couple. 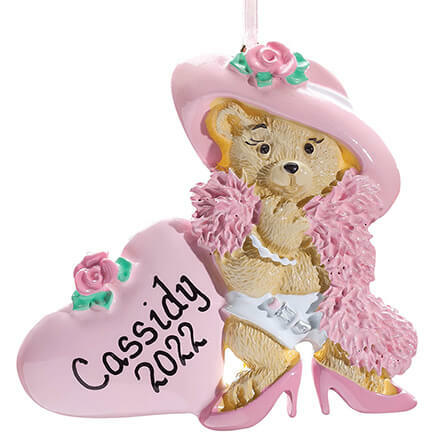 Really cute ornament for grandkids! I love snowmen and this is so cute. It looks like the names will be easier to read these. Cute idea for my sister and brother-in-law, who have everything. WHAT MATERIAL IS USED TO MAKE ORNAMENTS? BEST ANSWER: It is called resin, which is a type of light plaster and then painted to look like a ceramic piece. Well made and priced accordingly. I also ordered the "good" list that Santa is holding and had the names of her 4-legged children painted on it. My sis-in-law was surprized and delighted with the pieces. I believe it is resin. 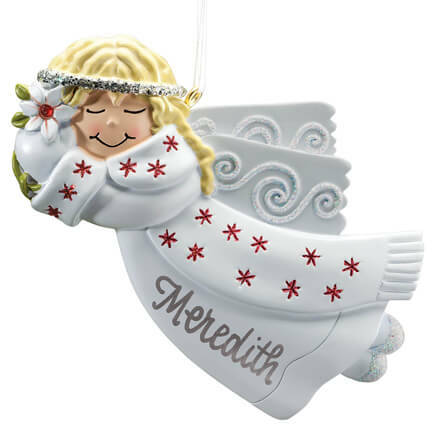 I have bought 6 or 7 of these ornaments. They are really cute, and everyone loved them. 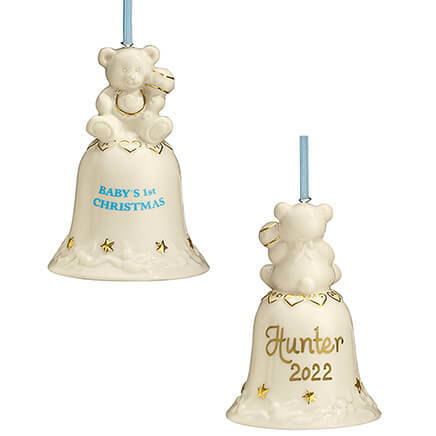 The ornament is made from a "china-like material. Yes, it is fragile, but very cute. where do I add names for this ornament? Sandy...Just place the names in the order form!!! or if ordering on line follow the instructions on the photo picture..and if a problem...just call the 800 number of good people at MilesKimball..
You click on the select button and choose the personalize button and a square will appear that says personalize and click that and a space will appear for you put in your name you want on the ornament. Miles Kimball will add the names in the appropriate places. In other words ; the male name will be placed under the snowman with the top hat and the female name will go with the snowwoman with the muff. Exactly as pictured. Very cute ornament.